Immigration reform is headline news. The post-election changes in immigration policies and increase in enforcement have resulted in profound fear and anxiety within our immigrant communities. Immigrant students are one of the most vulnerable populations served in public education. Research shows the changes in policies have negatively impacted immigrant students, and the public schools and programs that serve them. New studies reveal a discernible decline in academic performance, school attendance, enrollment in school based programs and children’s health services. 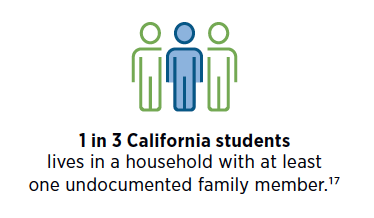 and an average of four students per classroom throughout the state have an undocumented parent. “Mixed status” children, children who have legal status but their parents do not, are as susceptible to the ramifications of enforcement as their undocumented peers. Each equally live in fear of being separated from their parents and the possibility of having to leave everything they have known. This issue is of great significance for our state’s educators as they have the overwhelming responsibility of supporting the social-emotional and academic success of each of their students. Though more undocumented immigrants were deported under the Obama administration than any other presidential administration, the level of anti-immigrant rhetoric and propaganda shared by the Trump administration is unparalleled. Immediately following the last election, hate crimes committed against immigrants increased by over 11% in California. The most violent type of hate crimes in Los Angeles increased by 50%, with over half of those incidents involving bias based on race, ethnicity or national origin. Schools have been a particularly common location for hate crimes. Studies show an increase in racial and religious bullying on campus, even between young children. Children as young as three-years-old are deeply aware of the anti-immigrant sentiment and the possibility of losing a parent. The news has recently been inundated by shocking stories of young immigrant children being taken away from their parents upon crossing the southern border. While this new approach to deterring illegal immigration is horrific and inhumane, it only shines a light on the treatment of families who have just arrived into the U.S. Out of the spotlight, immigrant families across the country are being torn apart every day. Immigrants who have lived here for decades, often longer than they have lived anywhere else, and without any kind of criminal record, are experiencing alarming rates of detention and deportation. 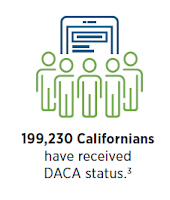 The recent termination of several federal programs such as Temporary Protected Status (TPS) and Deferred Action for Childhood Arrivals (DACA) has left hundreds of thousands of upstanding immigrants, many with U.S. citizen children, susceptible to being permanently removed from the country. While the media has focused primarily on illegal immigration reform, there are significant changes also being made to legal immigration policies in an effort to make it more difficult for immigrants to enter or remain in the country legally. The fear of being separated from loved ones creates significant emotional stress for children and the experience of having a parent deported can result in lifelong trauma. When children do not feel safe, they cannot be ready to learn. Public schools and afterschool programs have already been hard pressed to effectively support the extent of challenging behaviors and social-emotional needs of the students they serve. A recent report by the Children’s Partnership, a California based children’s advocacy organization, found a 50% increase in immigrant children receiving diagnoses for anxiety and depression. Increases in student mental health issues coupled with climbing rates of bias-related bullying and harassment at schools is deeply troubling for educators. 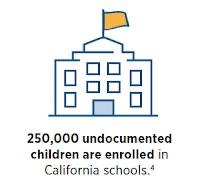 As the presidential administration continues to become more aggressive in its efforts to curb immigration, educators must prepare to support more intensive student needs with less economic resources. Programs assisting low-income students such as Head Start, Free and Reduced Lunch, Medi-Cal and after school services, have experienced a significant decline in enrollment. Immigrant parents are too fearful to complete applications, terrified to share personal information that may identify them, or utilize services that may label them as a “public charge” damaging the possibility of changing their immigration status. Public schools and agencies that depend on the critical funding enrollment in these programs generates have cause for concern. With the steady decline of public school enrollment across the state, many school districts have already found themselves in a financial lurch. 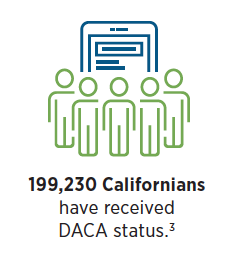 If immigration enforcement continues to impact participation in these programs, the financial trajectory public education agencies face in California is dismal. 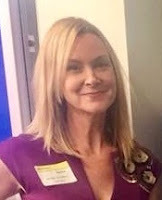 Michelle O'Neill works for the Los Angeles County Office of Education under the Student Support Services Division. Her career has been dedicated to serving under-resourced students in public schools. Michelle has served as a school counselor, as well as a school and district administrator. She has coordinated district wide programs that address attendance improvement, drop-out prevention, early intervention services, mental and behavioral health and alternative education. She currently serves as the County Office of Education’s Immigration Coordinator.